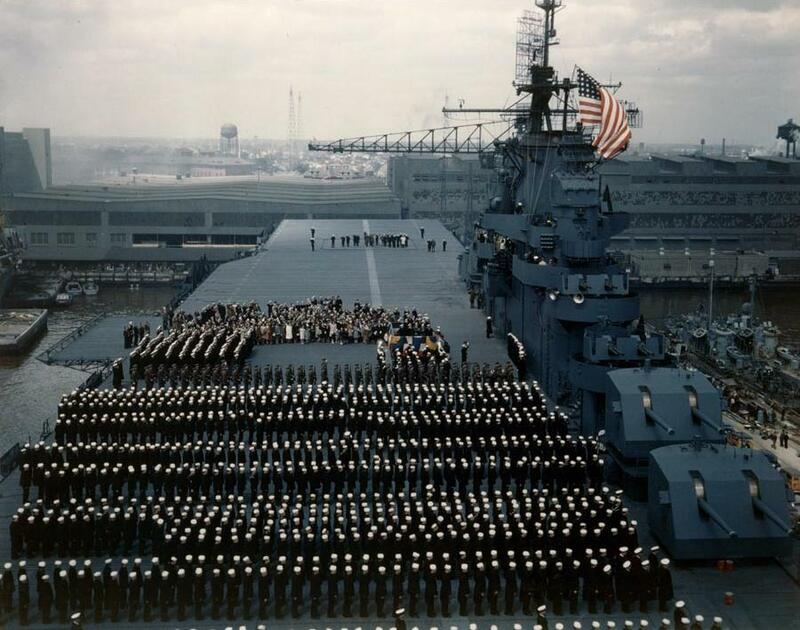 The national colours being flown for the first time aboard the USS Yorktown (CV-10) during the ship’s commissioning ceremonies on 15th of April, 1943 at Norfolk, Virginia. 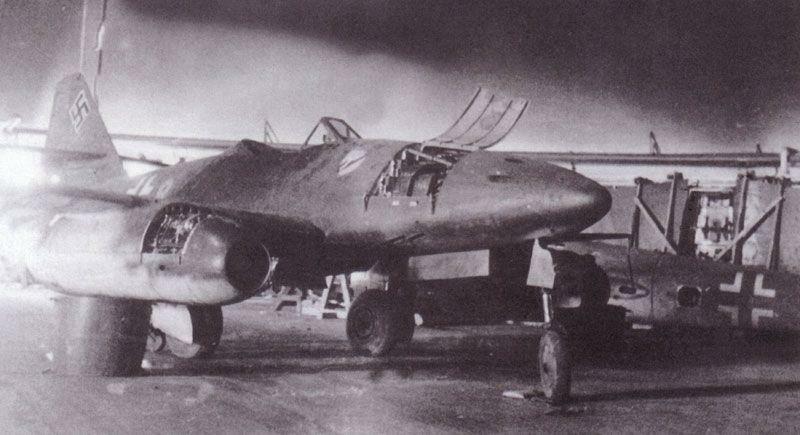 Me 262 A-1a ‘Yellow 8’ of 3./JG 7 – captured on April 15th, 1945 at an airfield between Steindal and Borstel, Germany. – K, All-wheel drive – W, Dual-tandem rear axles. Finnish Air Force Bristol Blenheim (LeLv42-BL154) at Vartsila was later lost on a raid to Varbenitsa, Bulgaria, 15th April, 1942. 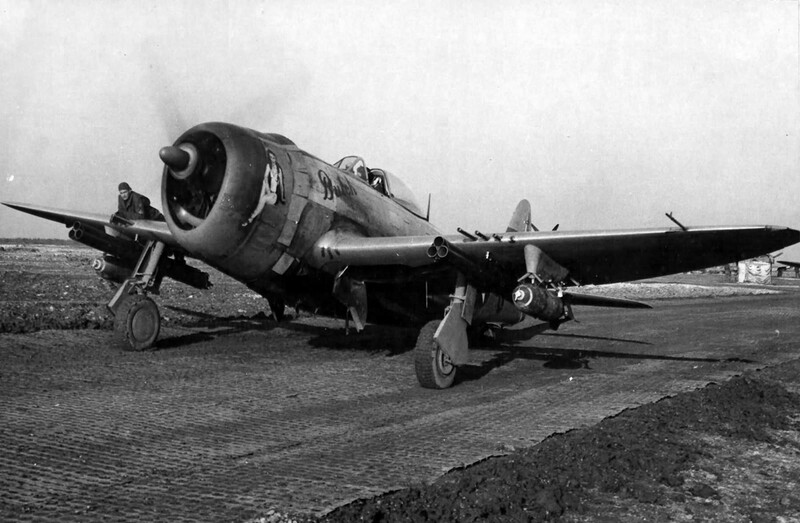 April 15th, 1945 – The flight deck crane/bulldozer pushing Sub-Lt West-Taylor’s crashed Hellcat, (JV255 ‘K6K’) into position so the Salvage Party can get to work clearing up the mess, in the later stages of Operation SUNFISH. HMS Queen Elizabeth is in the background. 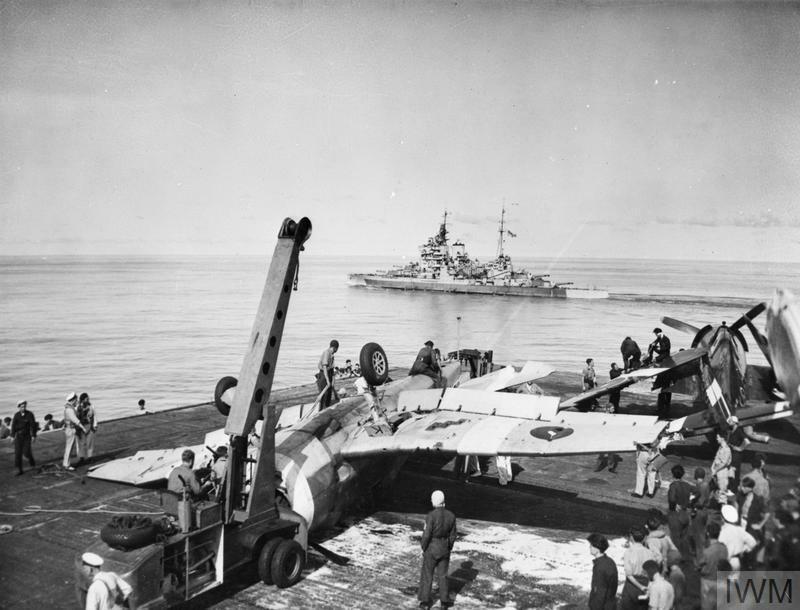 Operation Sunfish was a mission involving the HMS Queen Elizabeth, HMS Khedive, and the French battleship Richelieu. 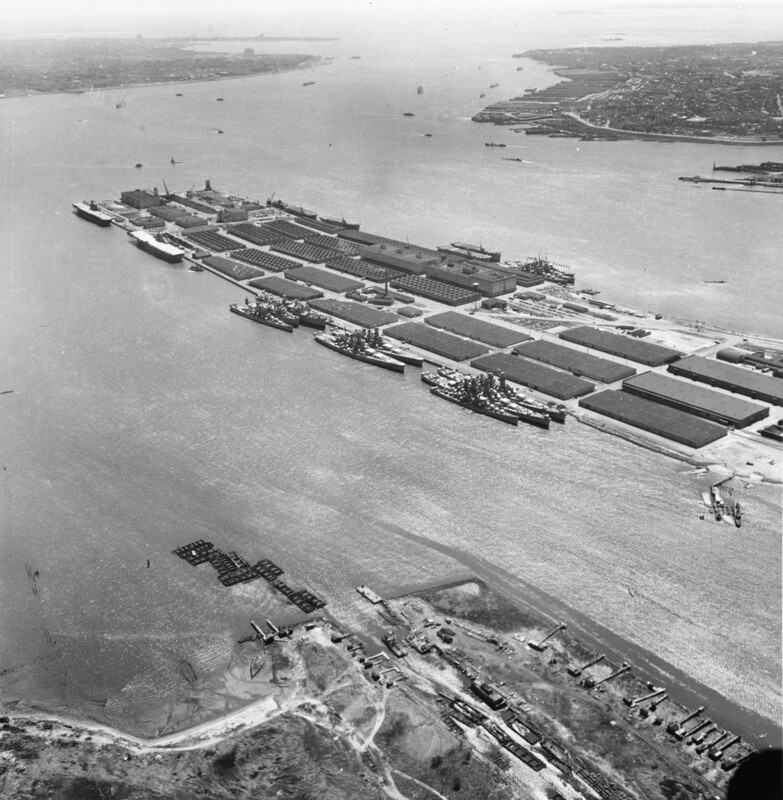 Their aircraft carried out a PR sweep of the area around Port Swettenham, north of Singapore, on 14–16 April, before carrying out a raid on Emmahaven (northern Sumatra) and Padang. Bf 109E4 (Stab JG26) with Adolf Galland at the cowling, 15th April 1941. P-40K ‘Rhapsody in Rivets’ of 78th Fighter Squadron / 15th Fighter Group; Midway, April 1943. U-118 was to be broken up for scrap, butin the early hours of 15 April 1919, while she was being towed through the English Channel towards Scapa Flow, the dragging hawser broke off in a storm. 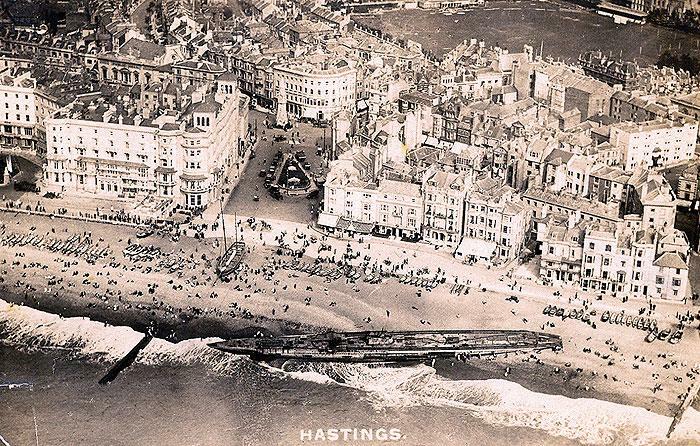 The submarine ran aground on the beach at Hastings in Sussex directly in front of the Queens Hotel, where she became quite the tourist attraction. Great shot of the Yorktown. Why the heck was Finland bombing Serbia? Hi Ryan. 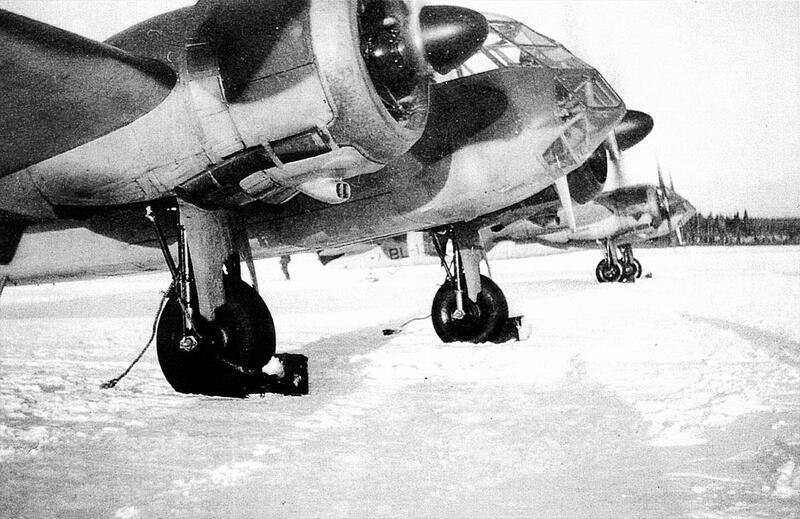 In my ‘research’ of this photo I assumed that after the ‘Winter War’ (no, not Westeros…) the Russians would have taken this Blenheim and that it later found its’ way to Bulgaria. But, the Soviets did not ‘declare’ war on Bulgaria until September of ’44. This doesn’t fit into the timeline. I suspect he original caption of ‘Varbenitsa’ is wrong, but I cannot find anything to correlate with it. The great thing about this series is it often throws up all sorts of weird stuff that takes me all over the place trying to cross reference dates and places. Well done, as always, David. 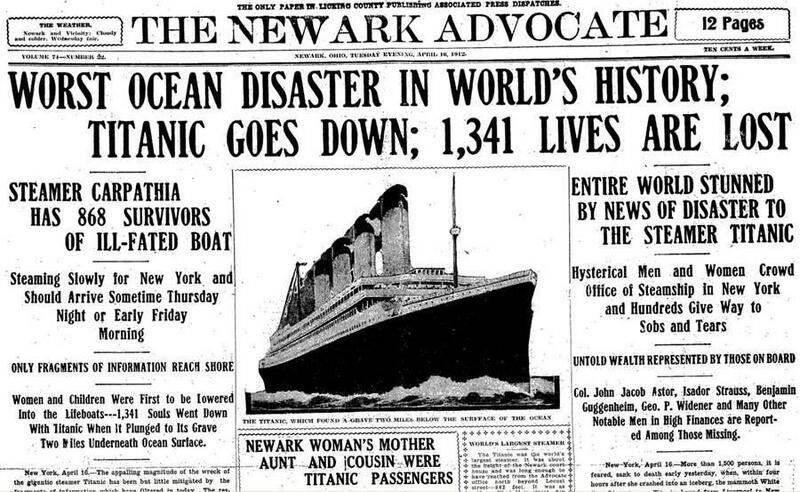 And may I add, today is the anniversary of the Titanic sinking in 1912. You just beat me to it, Gary, I added this photo just a few minutes ago. 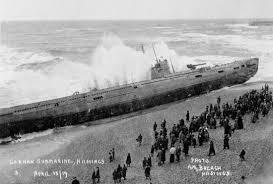 Great set again Dave , what really surprised me was the size of the German sub circa 1919, I never new they were that big ,I guess the R.N. subs were similar. 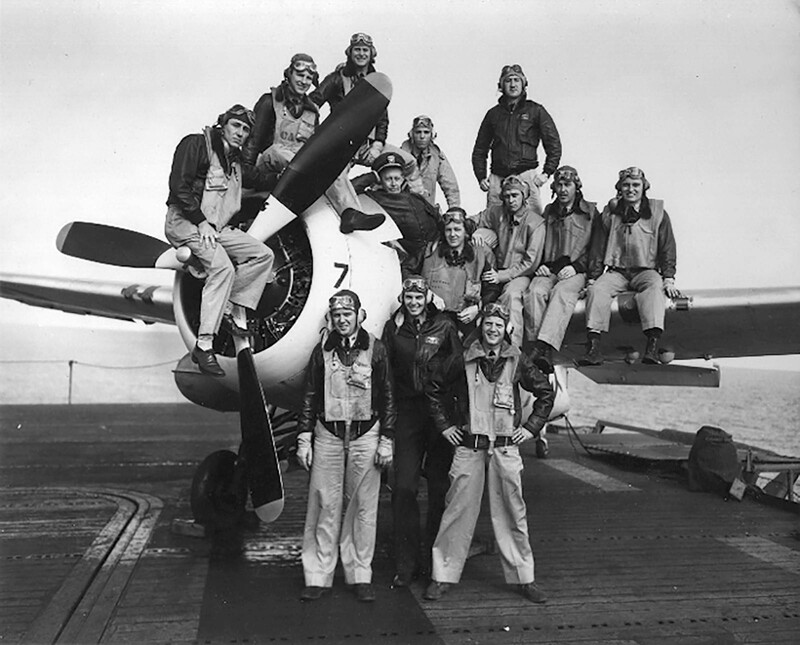 “P-40K ‘Rhapsody in Rivets’ of 78th Fighter Squadron / 15th Fighter Group; Midway, April 1943.” What a find David, I’ve never seen this photo and given all of the art work and characterization of a criter …people buy more stuff if it has an animal on the label it, would seem that the subject would be a natural for a company to make several decals. Although, the K model of the P-40 is rare when it comes to model kits. I believe, AMT made one. She IS a beauty, Stephen. I suspect if there were a common ‘k’ kit out there there’d be a decal set for this without a doubt. Thanks, Bob. The photo of the Yorktown (not the last by a long way in this series) is a beauty. Thanks for sharing your thoughts – appreciate you dropping by, as ever. Back around 1962 or so my Family went to Wisconsin Dells and rode all around the lake in a surplus “Duck.” I could hardly contain my excitement! Hey !!! I was only 10 or 11! That’s important & exciting stuff at that age!! !